We first explore some simple animation effects that work in all versions of PowerPoint. We then interview Mike Power of Neuxpower, who tells more about the new NXPowerLite Desktop 8 for Mac. 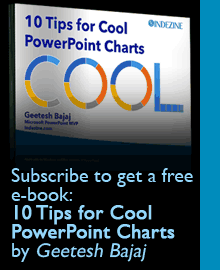 Learn how you can get a cheaper or free copy of Microsoft PowerPoint. PowerPoint 2016 for Mac users can learn how to Duplicate Shapes by Dragging, and how to Flip Shapes. PowerPoint Online users can learn about Resetting Pictures, Duplicating Slides, and Changing Presentation Aspect Ratio from Widescreen to Standard (and Vice Versa). And if that wasn’t enough for this week, make sure you do not miss the quotes, press releases, and templates released in the last week.